When they arrived on scene, they found a 22-year-old employee at the auto center who was severely injured. First responders provided immediate medical attention and attempted to stabilize him, so he could be transported to a level-one trauma center. Specifically, his injuries were a result of blunt force trauma to the head. EMTs transported the injured worker to the hospital, but doctors were unable to save him, as his injuries were too severe, and he died as a result of the massive head trauma. In addition to worker who was killed on the job, another man was also severely injured from the tire explosion. He was taken by helicopter to a local trauma center and then transported to Boston Medical Center for additional treatment of the serious head injury he suffered in the accident. 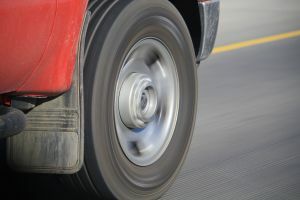 Police are not exactly sure why the tire exploded, but so far the investigation has revealed that the employee was working on repairing a heavy duty truck tire and was using an industrial tire changing machine at the time of the explosion. In addition to the local police, the United States Occupational Safety and Health Administration (OHSA) has also joined in the investigation and will be preparing a full report. In the event of any fatal on-the-job injury, OSHA is required to perform a full investigation. If OSHA determines that the employer had violated any safety regulations, they can issue a report detailing the violations, fine the employer, and require any remedial action that is appropriate. Violations can include failing to train employees on machinery, failing to maintain equipment, and machine guarding issues. It should be noted that Sears Auto Center has not been found liable in any way for this fatal workplace accident as of the time of this article, nor has there been an allegation that the company violated any safety regulations. Worker compensation attorneys in Boston routinely deal with cases where a worker was injured as result of an improperly guarded machine. All major machinery is required to have proper guards installed to keep employees from accidentally getting any part of their body caught in the mechanism. Obviously, there are some kinds of machines that are inherently dangerous, and workers must always be careful not to be injured, but guards are still required whenever possible to prevent unnecessary workplace injuries. One of the common types of injuries that can occur is the loss of a hand or arm. These are very serious injuries, and Massachusetts workers’ compensation recognizes this and provides for additional compensation when a worker suffers an amputation. These are one-time lump-sum payments that do not affect the amount of continuing workers’ compensation received by the employee. There are also special payments for scarring to the face or hands.